Balance transfers on credit cards seem to be incredibly appealing, and they can benefit you if you understand how they operate. Credit cards are not as daunting as you may think, as long as you take the time to research your best option. There are numerous details on LTSB credit cards which will help you to make a clear decision. You should never use the credit card as a source of income, and only use it for emergencies and for purchases that you can afford. Far too many people see the credit card as an extension of what they earn, which is the wrong way to use the cards. 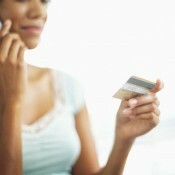 If you are credit savvy, you can benefit from the credit card, and increase your credit score. Credit cards can be gainful if used correctly, especially the balance transfer option which has become popular in recent years. 0% balance transfer credit cards are an incentive that credit card companies use to attract new customers. You can consolidate all of your cards onto one, which is appealing, and will help you to manage your money better. Make the balance transfer work for you and take advantage of the time period that this style of card is on offer for, before the APR increases. By removing several debts, you will be able to control your finances, and ensure that the debit is manageable. However, you need to ensure that you understand what is on offer, and how it can benefit you. If you feel that you can pay off the card when expected, and understand what the balance transfer involves, it can be a useful tool. The decisions that you make with your finances are personal to your circumstances, and you need to make the credit cards work for you in the future. Some people like to have the cards for emergencies, and this is a fantastic way to maintain your credit. Balance transfers should only be performed if you can commit to the payment plan on offer. You want to grasp this opportunity to reduce your debt, and make a difference to your credit score. Dedicating all of your spare funds to paying the debt will ensure that it is paid quickly, and that you can begin to make changes.